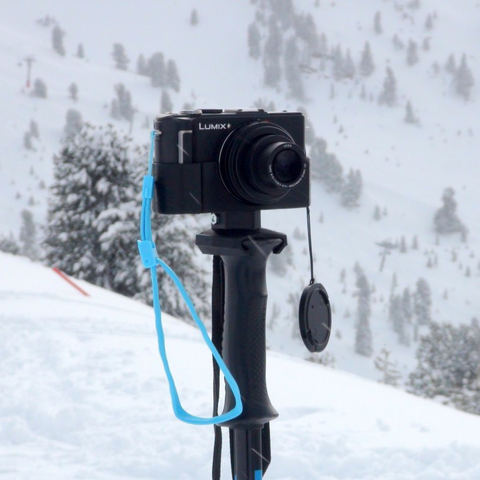 Simple adapter to turn ski pole into a camera tripod. Camera adapter is designed for Panasonic Lumix LX3. 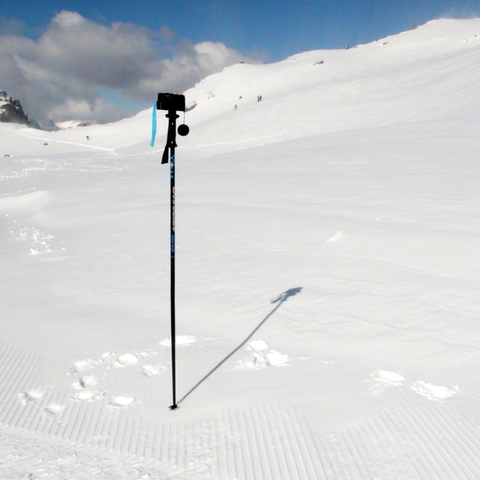 Ski pole attachment should fit on a standard ski pole. 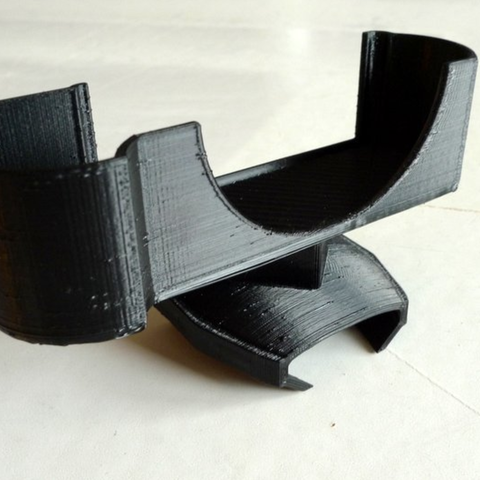 Both parts joined together using screw. 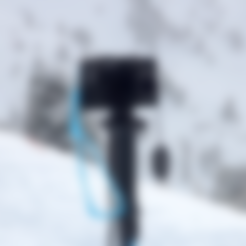 Camera adapter needs support, ski pole attachment does not.